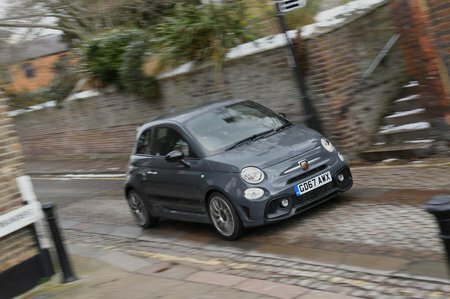 Abarth 595 Competizione Review and Deals 2019 | What Car? This is the performance flagship of the regular 595 range and comes with a 178bhp version of the 1.4-litre turbo, upgraded suspension, bigger brakes and a rorty exhaust system. Pricey, but easily the most fun version.